New Teardrop, New Summer Show Schedule! L ast summer our 1974, custom built wooden Teardrop breathed its last on route 85 just 20 minutes outside of Cheyenne ( see Sept 25th blog post for all the gory details!). 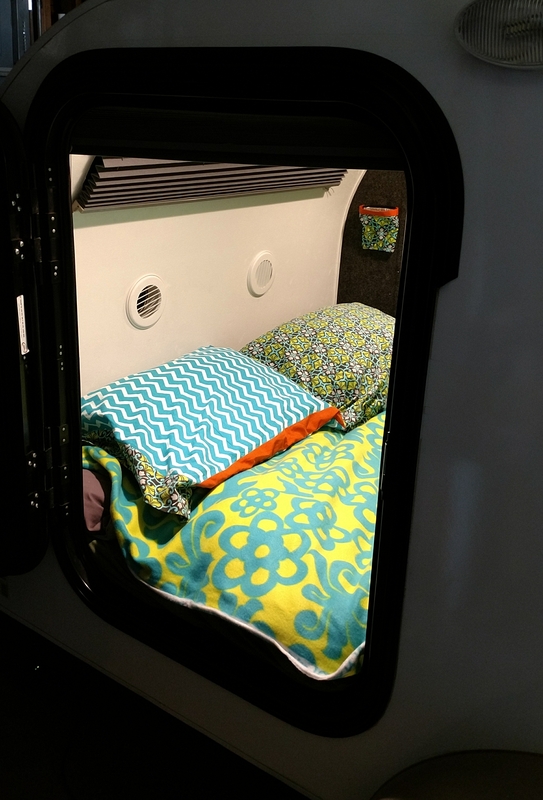 The good news is it prompted us to start the search for a newer, more reliable Teardrop. If you have ever been in the market for a nice used Teardrop, you know you have to jump on it when you see something you like! A few months ago we were shopping in Fort Collins on a Saturday when I decided to look on Craigslist as we were leaving Costco’s parking lot. “Dave, pull the car over and look at this ad for a Little Guy Teardrop” I said. After scanning the ad for details and location, we turned the car around and headed for Aurora CO. I called my cousin Janette who lives there and said, “Can we stay overnight? We’re looking at a Teardrop in your neighborhood”. Janette graciously agreed and offered us a new toothbrush for our unexpected and unprepared overnight. We looked, we bargained, and with a handshake agreement we were the owners of a 2014 Little Guy 5 wide. We returned to Aurora the next weekend, handed over a wad of cash and picked up our Teardrop. 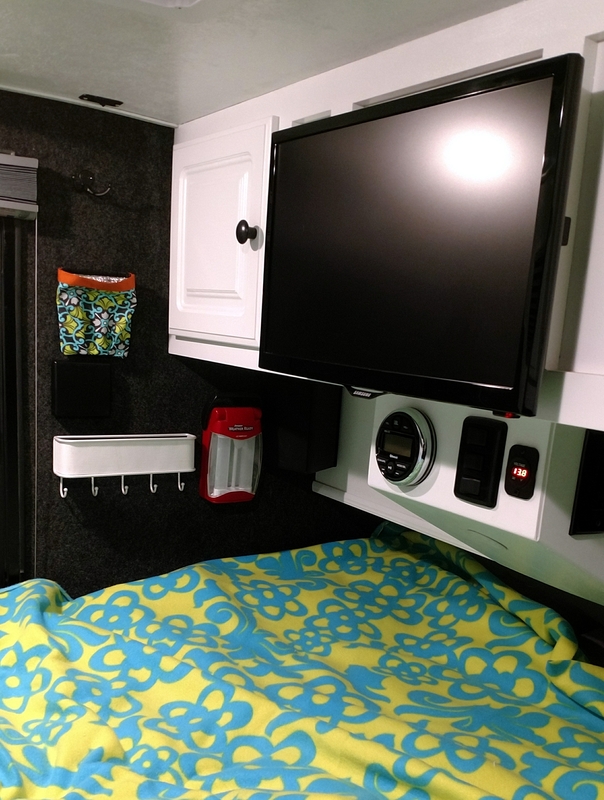 Our new Teardrop has a TV and stereo system! Uptown! The last few months we have been improving the galley, the interior and generally putting our own personality into it. Its now ready to hit the road as our home away from home during the summer art show season. We don’t have all our show commitments in yet but here is what the 2017 show season looks like so far. We hope to see new and old customers at our summer shows! 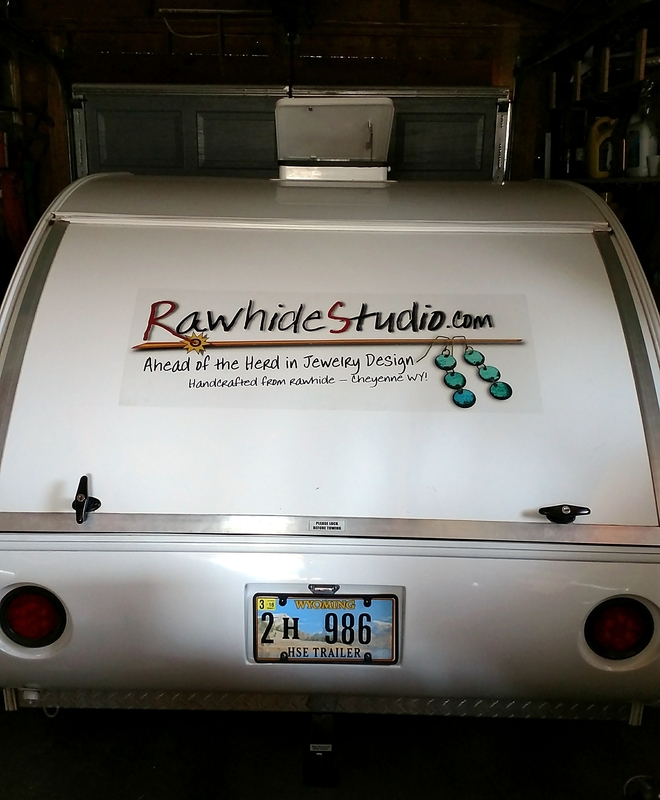 If you see the Rawhide Studio Teardrop on the road, give us a toot and a wave!